In Down to No Good, the sequel to Down Solo, PI Charlie Miner, freshly revived from his own murder, gets a call from Homicide Detective Dave Putnam. Self-styled “psychic to the stars” Tamara Gale has given crucial information about three murders, and the brass thinks it makes the Department look bad. Dave wants Charlie to help figure out the angle, since he has first-hand experience with the inexplicable. Trouble is, Charlie, just weeks after his full-death experience, once again has severe cognitive problems and may get them both killed. “The book is killer. I like this one even better in the first. Terrific work. 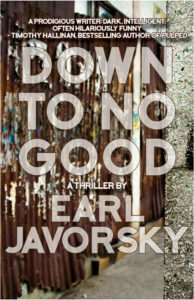 Down to No Good begins with the central character dead and then brings him back to life to face a very bad day. 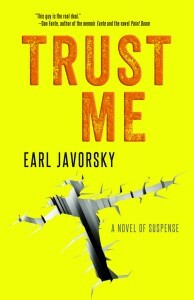 That’s Earl Javorsky’s world: mind-boggling, dark, hilarious, and unforgettable.” Tim Hallinan, author of the Poke Rafferty series. 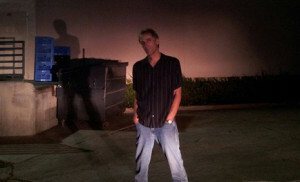 Charlie Miner wakes up looking down at his body on a gurney at the LA County morgue. When he moves closer to the body, it pulls him in and he is able to make it get up and walk around. Charlie, a down-on-his-luck, heroin-addicted insurance fraud investigator, leaves the morgue with two priorities: to get a fix and to find out who killed him. The trouble is, there’s a bullet in his brain and his memory is full of holes. His quest will take him backward to rediscovered memories and forward to new danger, further loss, and, finally, possible redemption. 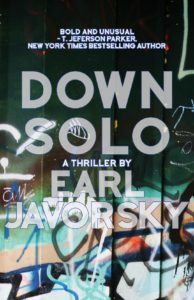 Down Solo borrows from Stephen King only to the extent that, generally, people don’t reanimate their bodies and continue daily life. Otherwise, the novel is more or less a straightforward (well, slightly convoluted) Chandleresque mystery. Jeff Fenner’s life is out of control. At the nadir of a rocky, sometimes-up-usually-down career, he has come face to face with his demons: he’s being investigated by the police, he owes money to the wrong people, and he sees an empty future shutting down in front of him. When Jeff hears that his sister Marilyn has jumped from a twelfth-floor balcony, he refuses to believe she killed herself, and he embarks on a tortuous journey toward self-discovery and redemption . . . and toward the beautiful but troubled Holly Barnes. Holly’s own demons have led her to a self-help cult in Beverly Hills called Saving Our Lives. Through Holly, Jeff learns of a string of apparent suicides eerily similar to his sister’s—and that Holly is the next target. I just read an article you wrote on the ” supernatural” qualities of great fiction and how to go about it. I wanted to say thank you. It’s as if some numinous thread had been hanging in the collective for me and you just pulled it opening the gateway to possibilities again. ( How strange it is to know your words thrown into the ether can change a random chicks trajectory?) Like everything in life- I can get stuck in the doubts of a pause like a seemingly problematic issue or take the pause as a indelible line that was needed for ends to be and beginnings to be seen. The questions are saved to my iPhone and it’s on the TO-DO list for today. Thanks Laila! Yes, strange indeed, ether, random, possibilities. It seems you have an inkling about a creative project, and that my bit that you read somehow relates? When is that next book? Down to No Good coming in October! I can’t wait for the next one! Love your writing! I enjoyed Down Solo a whole lot, and especially found Charlie Miner’s situation to be a new twist on the old “undead” theme. Good job — let’s have some more from this writer!